The Dutchtown South Community Corporation has a few upcoming events you should know about. 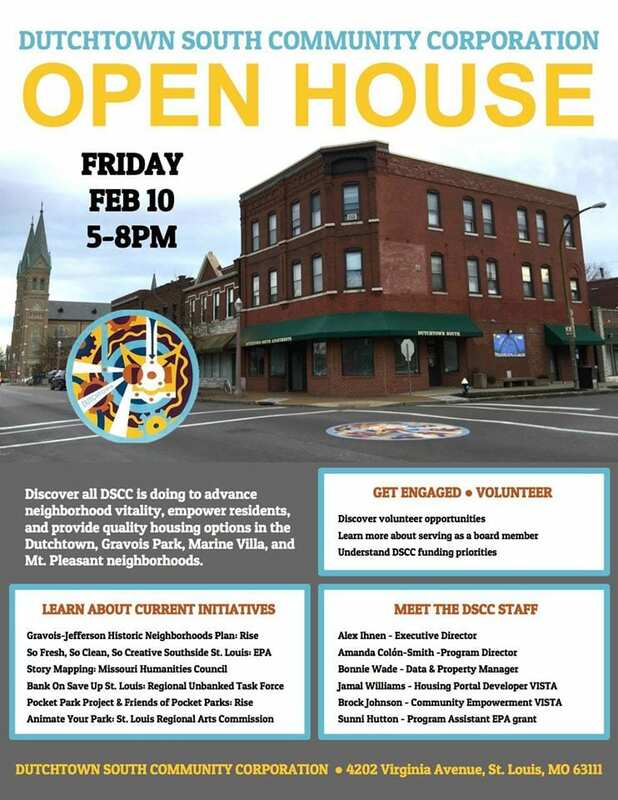 On Friday, February 10th, DSCC is hosting an open house at their office at Meramec and Virginia. Learn about current initiatives, meet the staff, and find out how to get involved with the organization. Please click here to RSVP. So Fresh, So Clean, So Creative is a new initiative to understand how to effectively utilize citywide procedures for discarding bulk items, identifying and reducing illegal dumping, and working with neighbors to execute effective strategies for sustainable materials management in Dutchtown, Marine Villa, Mt. Pleasant, and Gravois Park. Monday, February 13th is the stakeholder meeting for residents and property owners. Join your neighbors at 6pm at Thomas Dunn Learning Center to help identify problems and create solutions. This post was updated on February 5, 2017 . 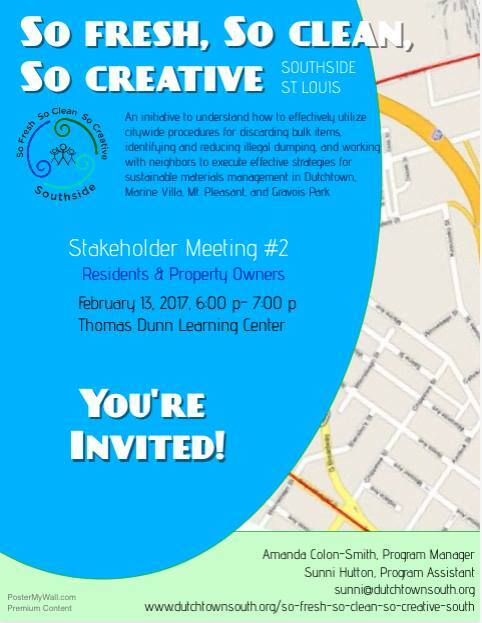 Read more news about Dutchtown, Gravois Park, Meetings, and Mount Pleasant.